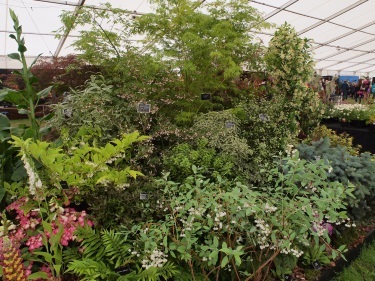 Burncoose Nurseries picked up another gold at The Royal Cornwall Show this year. 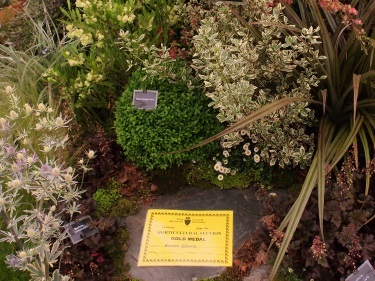 The stand, designed by Geraldine Hood-Leeder, captured the imagination of the judges and drew positive comments from much of the general public. The display provided an excellent opportunity for a new young member of staff, Christine Alford , to work with Gerraldine, and to try her hand at this form of floral display, and she showed great aptitude towards this. Another member of staff with an artistic eye….! We at Burncoose feel it is important to encourage these youngsters, as they are the future not only of Burncoose Nurseries, but of Horticulture in general.